The Reverend Dom Stanley L. Jaki, O.S.B., died April 7th, in Spain after suffering a heart attack in Rome without knowing it. After arriving in Madrid to visit friends he was taken to the hospital for treatment but died days later. He was a monk and priest of the Archabbey of Saint Martin, Pannonhalma, Hungary. He entered the archabbey in 1941, professing solemn vows in 1944 and was ordained a priest in 1948. Like many other Hungarian priests, Jaki immigrated to the USA during Soviet persecution. 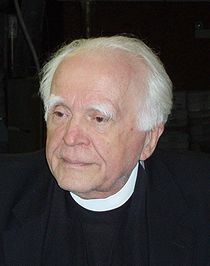 Father Jaki trained as a physicist and devoted his life to the history and philosophy of science and theology rather than scientific research. His intellectual work was ground breaking in connecting Catholic theology and science, and the only one to do so for many years. Jaki earned a doctorate in theology from Sant'Anselmo (Rome) in 1950 and another doctorate in (astro)physics from Fordham University in 1957. Since 1965 he has taught at Seton Hall University and honored as Distinguished Professor of Physics in 1975. After retiring he kept active by holding court, giving lectures and writing, often cantankerously. "Although the world was God's creation and, as such, to be profoundly respected, the world itself possessed no intrinsic divinity," Father Thomas G. Guarino, professor of theology at Seton Hall, stated. "Father Jaki's work elucidated the notion that in understanding the very laws of the physical universe, science naturally opened out toward the affirmation of faith." In the April 13, 2009 issue of Newsweek, Jon Meacham wrote the article, "The End of Christian America," exploring the idea that we are living in a time where many of those who identified themselves as Christians are now saying that they are skeptical about religion. Some have gone beyond skepticism and rejected religion altogether. In his article Meacham points out something that I find startling indeed: since 1990 the percentage of Americans who no longer claim a religious affiliation as risen from 8 to 15%. Plus, this group of religious non-affiliated has risen in the Northeast. Is this trend pointing to a real crisis or is Meacham creating havoc for the Church? 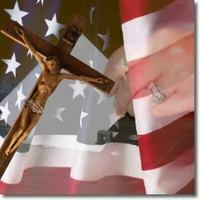 Are Americans accepting secularlity over salvation? Are Christians to blame? Certainly, experience shows that in many places, including religious houses, the liturgical rites and preaching are often so bad that one can understand why people leave the Church. How often do we go to Church encountering an unprepared priest, altar servers with little dignity and training and the poorly proclaimed Scriptures? Never mind the foolishness that passes for adequate, never mind "superb," catechetical formation and social outreach to the poor, the sick and the elderly. Where is the formation in the faith for the adults, teens and children based on Scripture and Tradition and not some minister's ideology? Is Christ only a one-day-a week event? Let's ask a question about the credibility of the witness: do the priests really believe in Christ, sin, grace, salvation, Mary, etc? What about those who take religious vows: are they really living according to the mind of the Church AND constitutions of their particular order? The Church in recent times is famous for answering questions that are not being asked by the faithful. If the Church wants to slow down or reverse the secularization of our culture then it needs holy and competent men and women, clergy and laity alike, who will live the faith in a serious manner. The gospel needs to be preached in such a way that is faithfully and poignantly breaks open the word of the Word AND the lives the liturgical rites. Salvation is a question of content and beauty. Is the Stem Cell debate dead? Since January 20th, we've seen the debate over the value of embryonic stem research get a boost from the President who reversed President Bush's ban on embryonic stem cell research and now a prominent medical researcher has made the claim that the stem cell debate is dead. In effect, this researcher has confirmed what other lesser known researchers have already said and what the Catholic Church has also said on this subject: the only hope to cure certain diseases is in adult stem cell research. However, the politics of the use of embryonic stem cell cuts close to home for many since the hope, albeit false hope, is place in the "new cells" which would grow into new, healthy cells and stall if not reverse medical problems and give people with chronic medical problems a new life; what the media got hoodwinked by is the prominence of likeable actors as proponents of anything that would save their lives from diminishment and death. The fact is no meaningful change in the lives who suffer with neurological diseases has happened as a result of therapies involving stem cells taken from embryos. No one would in their right mind would not want to find a cure for the world's heinous diseases. Catholics affirm the beauty of life, not desire for death. To think otherwise would be barbarous. Considering the witness of Pope John Paul II who lived with Parkinson's is astonishing example of how to live and to die with complete human dignity; he was able to live with intensity because of his humanity which never in knowing that he did not make himself. That is, the pope had a radical dependence on God as maker and sustainer of the universe. But the example of John Paul is not enough to quiet the mind and the heart in the face of disease especially when it is yourself or a loved one. Many reason that it's a matter of life and death "to do everything reasonably possible" to save a person from the ill-effects of disease, or the one should say the quality of one's life and death that makes the issue heart-wrenching, even to the point using cells from aborted babies. Any thinking man or woman desires to help the vulnerable. It is, however, a question of doing right science, for the right reasons which protects all human life, including the person living with ALS and the unborn baby. The problem with embryonic stems that right science tells us, is that they come from aborted babies and there is no evidence that they would do what is purported that they would do. Last week America's oracle and Obama supprter, Oprah Winfrey, had on her daily TV program Dr. Mehmet Oz and Michael J. Fox (who lives with Parkinson's) to discuss the matter of stem cell research. Tom Hoopes of the National Catholic Register writes about it. Read the article here. You may also want to read a booklet title Understanding Stem Cell Research: Controversy and Promise by Dominican Father Nicanor Austriaco, PhD. The author takes the reader through the issues and clearly explains the science and hope that current research proposes. Josh Brahm's essay "9 Things the Media Messed Up About the Obama Stem Cell Story" is worth reading. This page is a archive of entries in the Faith & Reason category from April 2009. Faith & Reason: March 2009 is the previous archive. Faith & Reason: May 2009 is the next archive.